French chef Claude Bosi, who is in the Capital to jumpstart Upstairs at Indian Accent, on marrying Indian ingredients with French techniques and the significance of Michelin stars. Though he never helped out his parents at the bistro they ran in Lyon, for the now two Michelin starred chef Claude Bosi, picking cooking as his profession came easy. “I’ve grown up around this life and food came naturally to me,” says Bosi, cutting an imposing figure seated at Indian Accent at The Lodhi in Delhi. Visiting the capital to kick-off the Upstairs section at the swish restaurant, the French chef, accompanied by his team from the famed Bibendum — established in 1987 in the Michelin House in London — rustled up elaborate menus for lunch and dinner that offered insight into the elegant artistry he is regarded for. Some of the dishes on the menu are what they serve at Bibendum while others exploit the charm of Indian ingredients — morels, chickpeas, coconut, curry powder, lentils — that iterate how cultural differences reflect themselves on the plate. “There’s great produce in this country and we decided to make the most of it. I’m a big fan of coconut and decided to use a lot of it in the menu. But I have to say, the main course was envisioned to be a different one. We didn’t find some of the ingredients we were looking for. Like seafood. I didn’t realise it would be difficult to get our hands on good seafood in Delhi,” says Bosi, whose approach to cooking, though rooted in French cuisine, is far from traditional. “I have a French foundation but I try and cook what excites me. Sometimes, we have a set idea of what a dish needs to be. People are able to cook well because they can break away from those set notions,” he adds, regarding L’Arpège in Paris, where he apprenticed, as a strong influence on his style. In September last year, one of France’s most renowned chefs, Sebastian Bras, uploaded a video on Facebook stating his desire to relinquish the three Michelin stars awarded to his restaurant, Le Sequet, citing the duress that accompanies them as the reason. “I think sometimes we put too much pressure on ourselves. You don’t ask for a Michelin star. You work for it and one should be pleased when recognised for the work one does. Besides, what does returning one even mean? Does it mean that I will reduce my standards or won’t be as sharp in the kitchen? This is not merely a job. It’s a person’s passion and one should continue to do what one loves. The star comes, it comes and if it doesn’t, then it doesn’t,” says Bosi. So, how did receiving the stars change his life? “Well, for one it kept my business going and opened up many avenues. There was a time I was saying yes to a lot till I realised I can’t do it all,” says Bosi. He insists that the stars haven’t changed much for him. “We have to stop thinking that we are stars. Our job is to be in the kitchen and not in front of it. If I’m outside talking to you, then who’s checking on what you’re paying for? I think to myself, what am I? I’m a cook. I put vegetables and meat on a plate. We have to stop making too much of it,” he says with a laugh. 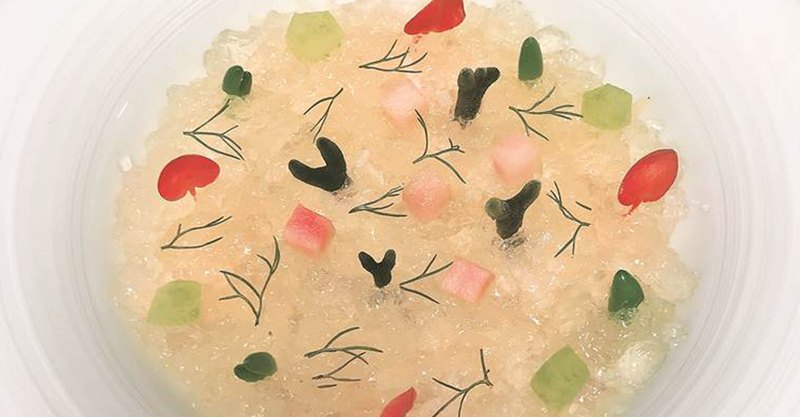 Bosi defies the caricature of a chef with Michelin stars, taking neither the honour nor the food served at top-notch fine dining restaurants too seriously. That is perhaps why “nothing is better than fish and chips” for him. “Some chefs forget how satisfying a burger can be. We are lucky to have access to great food but not everybody can afford that. We are very privileged so that’s why when I get good produce, I try and do something interesting with it but we can’t expect to eat that every day,” he says.